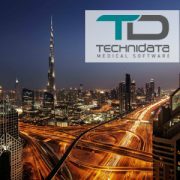 TECHNIDATA, a leading global supplier of software solutions for clinical laboratories and biobanks, strengthens its expansion in the Middle East region and announces the signature of a distribution agreement with Neo-Science & Group, a Life Sciences, Diagnostics and Informatics provider headquartered in Dubai. This agreement covers the distribution of TECHNIDATA solutions in Egypt, Iran, Jordan, Lebanon, Oman, Qatar, the Kingdom of Bahrain, the Kingdom of Saudi Arabia, and the United Arab Emirates. With corporate headquarters based in France, regional headquarters in Montreal and Manila to address the North American and Asia-Pacific markets, as well as subsidiaries in Benelux, France, Germany and UK, TECHNIDATA has clearly developed an international expansion strategy. To support its growth, TECHNIDATA continues to build a strong network of business partners around the world. “We are very pleased to partner with Neo-Science & Group, which is a leading Diagnostics and Informatics player in the region. This distribution agreement represents a new milestone for TECHNIDATA’s expansion in the Middle East and North Africa – a region with great potential. We aim to forge a strong and long-term relationship with Neo-Science & Group, and provide them with high levels of service. In addition to developing software, we also provide our Partners with marketing and commercial tools, training and support services”, says Jacques Baudin, Senior Vice President of Marketing and Business Development at TECHNIDATA. “We are delighted to complement our product offering with TECHNIDATA laboratory and biobank information systems. Our recognized expertise in the field of Life Science Diagnostics and Informatics in the region, combined with TECHNIDATA’s software solutions, know-how, and support, allow us to provide high-quality solutions for clinical laboratories and biorepositories in the Middle East. This is a valuable asset for the successful development of our Group”, adds Nadia Abu Hijleh, CEO at Neo-Science & Group. To launch this new partnership, Neo-Science & Group will showcase TECHNIDATA solutions at the upcoming MEDLAB Congress, in Dubai, United Arab Emirates, from 6 to 9 February 2017. This event is the world’s largest attended laboratory exhibition and congress.